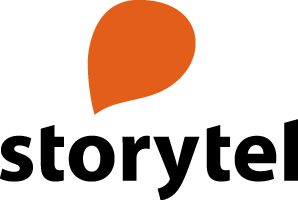 Storytel was founded in 2005 as a subscription service for audiobooks. Today, Storytel is both a comprehensive print publishing group and a digital platform provider for stories allowing the company to bring together the best of print publishing and technology. The vision is to make the world a more empathetic and creative place with great stories to be shared and enjoyed anywhere and anytime. In the past four years, the number of employees has grown from 30 to 400+ in the Group and Storytel has expanded to a total of 15 markets.